It’s safe to say that we all want to be able to make as much money as possible in life. It’s only natural. And when you’re looking to buy a new house, start a family, or just try to improve things for the family life that you’re already living, you often need more money to be able to do that. You can even earn more money in an enjoyable way on one of the best sites for online gambling. But let’s consider three more ways that you could earn money. So first of all, you should think about starting your own little thing on the side. Yes, you work hard, but you could also start to earn some money for yourself by working in the evenings or on weekends on an income generating project. Ideas here are blogging, affiliate marketing, launching a product, creating a course, and consulting. Maybe you’re already working really hard, and you don’t want to use your evenings and weekends on a side hustle? Well, why not aim to go out for a promotion at work instead? It may take months or years, but if you can come up with a career plan, you should find that you can start to earn more before you know it. Last but definitely not least, you could also think about going out for your MBA. If you want to move into a career that is going to give you the salary that you want, thinking about getting your master’s is a great idea. 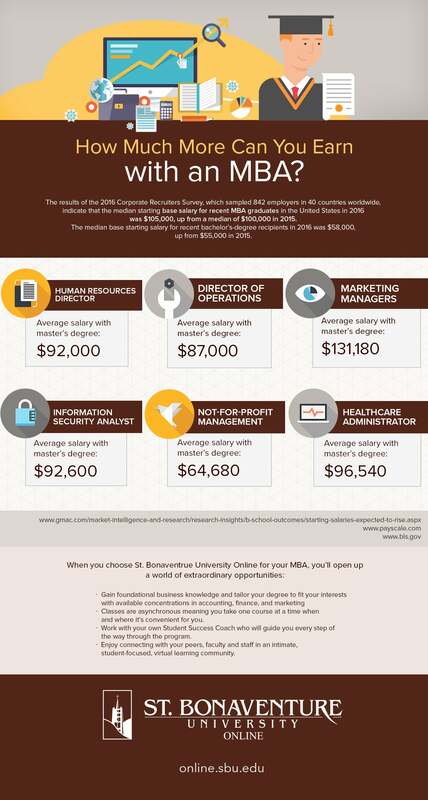 Just take a look at the difference in pay between bachelor’s and master’s in the infographic below. I just went back to school to get my MBA. Praying that it goes well! Good Luck!! I’ll say a prayer for you as well!